History and background of Givenchy. 1927, the year the Musketeers triumphed at the Davis Cup, the year Charles Lindbergh flew nonstop across the Atlantic Ocean and the year Hubert deGivenchy was born at No 24, rue Saint-Louis in Beauvais (France). 1927, the year the Musketeers triumphed at the Davis Cup, the year Charles Lindbergh flew nonstop across the Atlantic Ocean and the year Hubert deGivenchy was born at No 24, rue Saint-Louis in Beauvais (France). Very early on, Givenchy manifests a passion for fashion. At age 10, he visits the World's Fair in Paris and returns filled with wonder from the Pavilion of Elegance, where 30 models of the most famous French couture houses were presented. His mind is set: he will be a fashion designer. When France is liberated from German occupation, Hubert de Givenchy moves to Paris and begins to study with Jacques Fath. He continues his training under the guidance of Robert Piguet, and then becomes Lucien Lelong's assistant after Christian Dior's departure in 1947. That same year, Elsa Schiaparelli entrusts Givenchy with the management of her boutique on Place Vende, where he will spend four years. On February 2nd 1952, Hubert de Givenchy's dream comes true: he opens his own Maison de Couture at No8, rue Alfred de Vigny, on the Monceau Plain. His first collection is an immediate success. Bettina Graziani, both model and press agent of the company, becomes the brand's icon. He created for her the famous "Bettina blouse." 1953 is a turning point. Indeed, the young designer meets Audrey Hepburn, the incarnation of his ideal of femininity. Here begins a 40-year long friendship, during which the actress will become the brand's ambassador. Films starring Hepburn such as Breakfast At Tiffany's, Funny Face or Sabrina convey Givenchy's image of refined elegance around the world. That same year, Hubert de Givenchy befriends Cristobal Balenciaga and considers him as his Master. Balenciaga's influence is present in the spirit of innumerable Givenchy collections, and is particularly evident in the designer's taste for structured minimalist clothing. A pioneer in many fields, Givenchy is the first designer to present a luxury collection of women's ready-to-wear (1954). His work combines elegance and classicism with audacity and modernity. "Separates" (1952), the bag-dress (1955), the funneled collar coat (1958), the enveloped dresses (1966), and the garments of printed textiles inspired by Miro, Matisse or Christian Bard (the Eighties) are among his most original designs. Throughout the years the Givenchy brand diversified its activities. 1973 is a milestone year, as Givenchy enters the realm of menswear, with the launch of the "Gentleman Givenchy" line. The brand also expands its distribution network internationaly to many countries, in particular to the Far East and to the United States. Givenchy became part of French luxury group LVMH Mo Hennessy Louis Vuitton alongside other prestige labels including Christian Dior, Louis Vuitton, Christian Lacroix and Cine. After Monsieur de Givenchy's retirement in 1995, John Galliano, graduate of London's St Martin's School of Art and thrice elected "Designer of the Year" by the British Fashion Council, became the new designer for Givenchy's Haute-couture and luxury ready-to-wear lines. In October 1996 Alexander McQueen, also graduate of London's St Martin's School of Art, is appointed to succeed him. In March 2001, Julien Macdonald was named Artistic Director for Women. In this role, Macdonald oversees the design for Haute-Couture, womens ready-to-wear and accessories. Julien Macdonald, 28, comes to GIVENCHY after founding his own company in 1997. Prior to that, he was the head knitwear designer at Chanel Couture. While he first wanted to be an actor, he discovered his passion for fabrics and enrolled at the Brighton University and then completed a Master of Arts at the Royal college of Art. 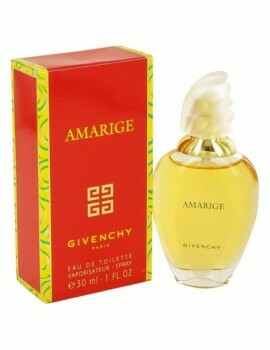 Created by the design house of givenchy in 1991, amarige is classified as a sharp, oriental, floral fragrance . This feminine scent possesses a blend of violet, mimosa, soft sweet spices, and orange flowers. Accompanied by fruity notes of fresh citrus, melons, peaches, and plums. Extravagance d' amarige was introduced in 1998 by givenchy . This exceptional fragrance is made with rare and expensive etherial oils; indonesian sandalwood, american cedarwood, musk, ambrox, sicilian green mandarin, black iris, south african tagete, and madagascan pink peppercorn. Launched by the design house of givenchy in 1975, gentleman is classified as a luxurious, oriental, woody fragrance . This masculine scent possesses a blend of woodsy, aromatic top notes of spice, with lower notes of rose and leather. It is recommended for evening wear. The new, brave fragrance born from the esteemed parisian house of givenchy . Playful, soulful, meaningful, a raspberry note threads its way through the veil of amber vetiver and voluptuous magnolia with a discreet touch of pepper. Like a rare couture gown, this fragrance is an original, artful creation. 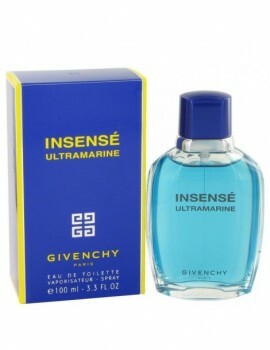 Launched by the design house of givenchy in 1994, insense ultramarine is classified as a refreshing, spicy, lavender, amber fragrance . This masculine scent possesses a blend of an outdoorsy, watery scent. It is recommended for daytime wear. L'interdit by givenchy is a timeless classic scent for any woman . Introduced in 1957, this refined, elegant, sophisticated floral aroma. L'interdit is a feminine blend of florals with spicy hints giving it a soft feminine scent. This timeless aroma is recommended for evening wear.